At first glance, the Mueller affair looks like a pretty odd “exoneration” of Donald Trump. Yes, a summary of the report into Russian involvement in the 2016 election says Trump didn’t collude with Vladimir Putin — but the investigation did lead to 34 indictments and seven convictions, and special counsel Robert Mueller draws no conclusion on attempted obstruction of justice. On top of which, the US president faces other probes. “The best day of Trump’s presidency,” said the BBC. Kennedy had the Cuban missile crisis; Reagan had Reykjavik. Trump’s best day is being told that he’s not a Russian puppet. But politics isn’t about detail, it’s about grand narratives — and Mueller has almost mortally humiliated the president’s critics. “It will be a reckoning for President Trump, to be sure,” wrote the New York Times, but also for, “Congress, for Democrats, for Republicans, for the news media and, yes, for the system as a whole”. Blink and you’d miss it: the Times was saying sorry. Trump’s enemies made three huge mistakes. First, they overshot. They focused on the biggest, most outlandish claim against the president when a mixture of the smaller ones would’ve been enough to damn him in the eyes of the average voter. Never mind that the rest of the evidence appeared compelling, by placing so much emphasis on this ridiculous Russia connection the prosecution walked into its own trap. Third, and this is the biggest mistake of all, the American Left has obsessed too much about the past, neglecting to build a winning strategy for the future. This is understandable. 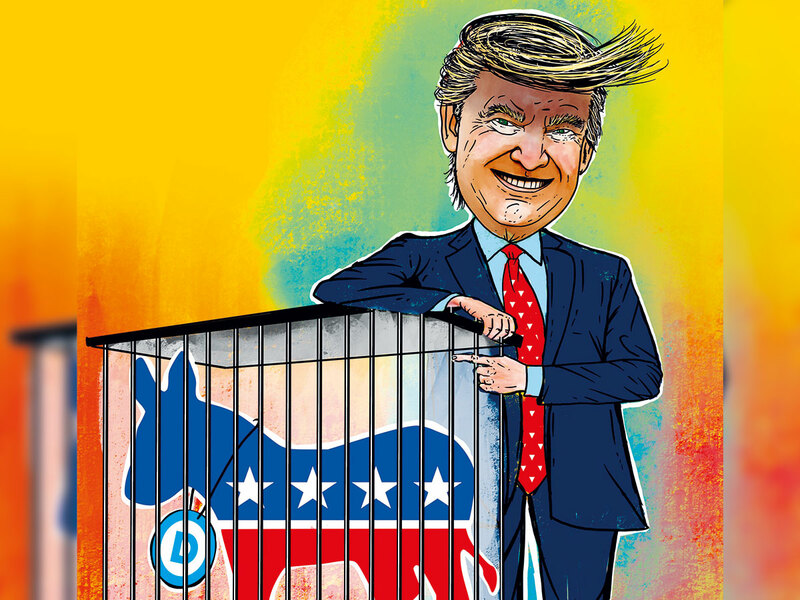 To Democrats, the victory of Trump over Hillary Clinton was so unlikely and so devastating that they assumed he must have somehow stolen the election. Otherwise they’d have to confront the uncomfortable possibility that Clinton was less appealing to working-class Americans than the most radical Republican since Barry Goldwater. Conspiracy theories abounded: Russia was an easy explanation. In fact, the Mueller report concludes that Moscow did try to influence the 2016 election, which itself should put Republicans on the back foot: what is it about Trump that, by inference, made him more attractive to the Kremlin as a presidential candidate than Clinton? But while any foreign interference is obviously important, Trump has been in the White House now for two years and has a record — some good, some bad — that demands scrutiny. At what point are Democrats going to start dealing with Trump as a concrete reality rather than Trump as the existential psychodrama of 2016? The same error has been made in the UK. Millions of words have been written about why Britain voted for Brexit. Class war, culture war and the like.It’s an interesting subject: it would make a great PhD. But all the while we’ve been arguing over why Britain voted Leave three years after the fact, we’ve had precious little talk about the more relevant question of “how” it is going to leave — and that’s why it is in this present mess. Politicians are to blame; so is the media. I went on television shortly after the Withdrawal Agreement was published and got all of about 90 seconds to debate its contents. Most of the rest of the conversation was taken up with personality politics, democracy and treachery, which, as the choice of “no deal” or “no Brexit” comes screeching towards us, suddenly seem relatively unimportant. It’s as if Britain and America have gone into shock. Something big has happened to us and we can’t get over it. We just stagger about asking if we can replay the past and do it differently. Can we impeach Trump? Can we have a second referendum? Both were democratic choices that we have to learn to live with. Criticise them on the merits, by all means, but don’t retreat into conspiracy theories. Russian spy fiction is fun, no doubt, but not an acceptable distraction from the facts of our present crisis.